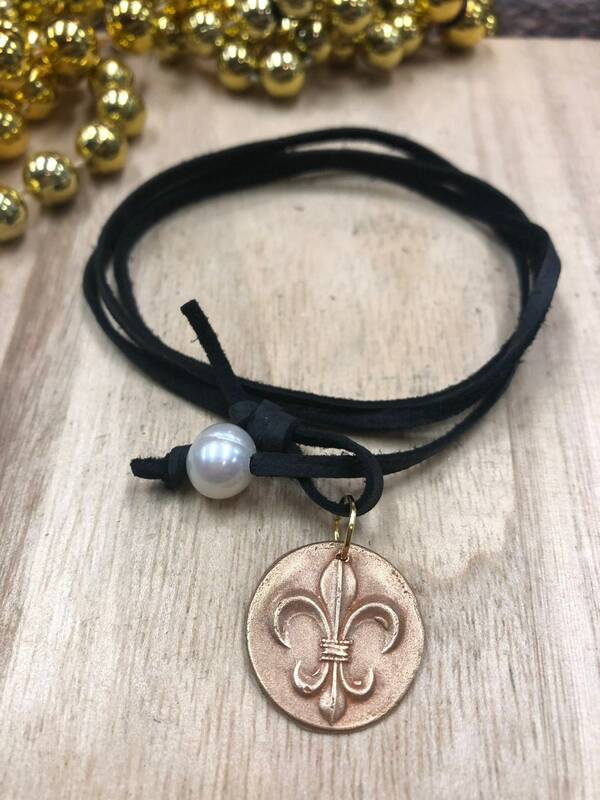 Bronze & Freshwater Pearl with Leather fleur de Lis Charm. Can be worn as a necklace or wrapped arount wrist. Charm is approximately 3/4 inch.